Some say location is everything. In the case of Daytona Beach, we would agree. 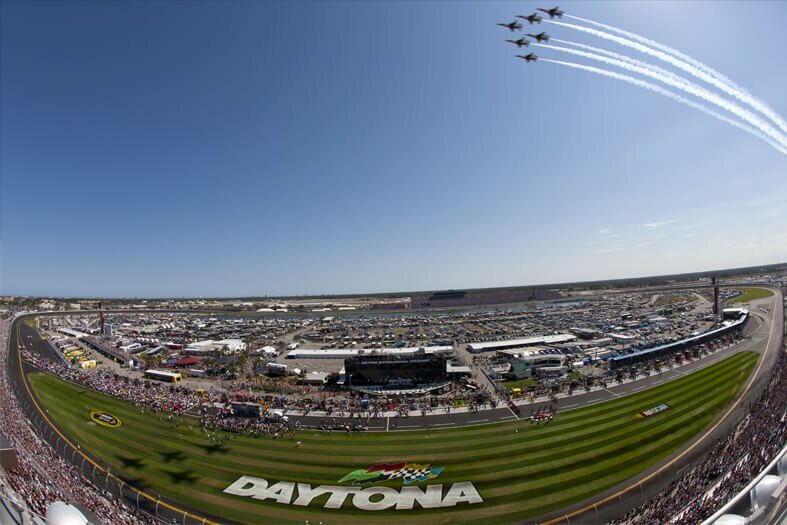 Daytona has its own special place in America’s aviation history and being based on Florida’s east coast, we get to enjoy incredible weather all year round. The beach here seemingly stretches forever – with 23 miles of gorgeous white sand that was originally used as a runway before Daytona Airport was built! 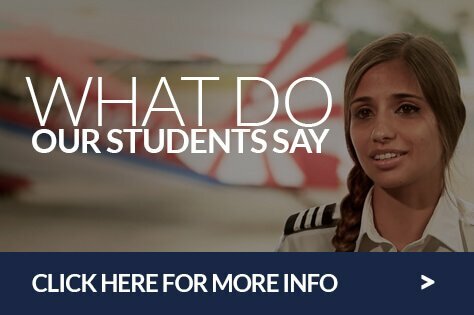 You’ll be amongst other like-minded people all with a passion for learning to fly and with the help of our Admissions team you’ll be living in off-school accommodations.  Daytona Beach is full of diverse activities and things going on in-between flight school. 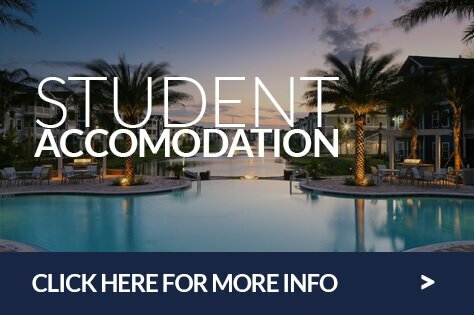 With its vast open spaces, array of local attractions and vibrant culture and sporting scenes it’s no surprise why so many students decide to make it their home away from home. 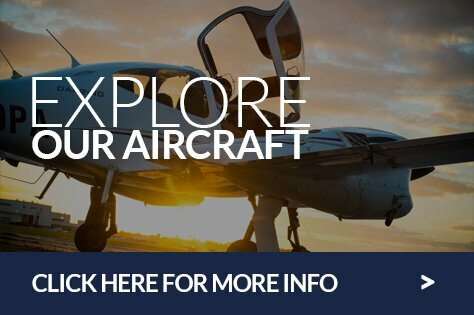 Whatever you want from your flight school experience, you’ll find it at Phoenix East and Daytona Beach. Daytona International Speedway is the home to the famous Daytona 500. You’ll be flying over this incredible racetrack that attracts millions of race fans from all over the world. Did you know that the beach witnessed the first ever twin engine flight? Nowadays its home to two surf clubs, kayaking, paddle boarding, fishing and a whole array of water based activities. You can even drive on it during the day. 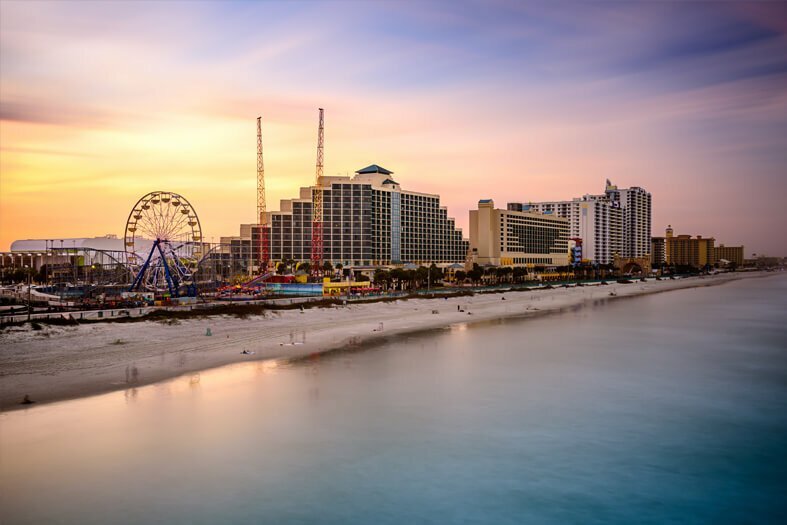 With outstanding weather and incredible accommodation at affordable prices it’s no wonder that Daytona is home to dozens of festivals including the world renowned Bike Week each March. Perfect for a day trip are the Florida theme parks including the famous Disneyworld, Universal Studios, Sea World and LEGO Land. Or if you cant be away from aviation too long head down to the Kennedy Space Centre. All are within an hours drive from Daytona Beach. We’re blessed with pretty much every cuisine from around the world to suit every budget and with on accommodation gym’s at almost all our apartments you’ll be able to work it all off. PEA provides a student bus that picks up and drops off at the apartments each day. It’s a paid for service. Some students elect to buy a car, which they then sell at the end of their training. Some keep fit by cycling in. Our admissions team can help you choose the best way.